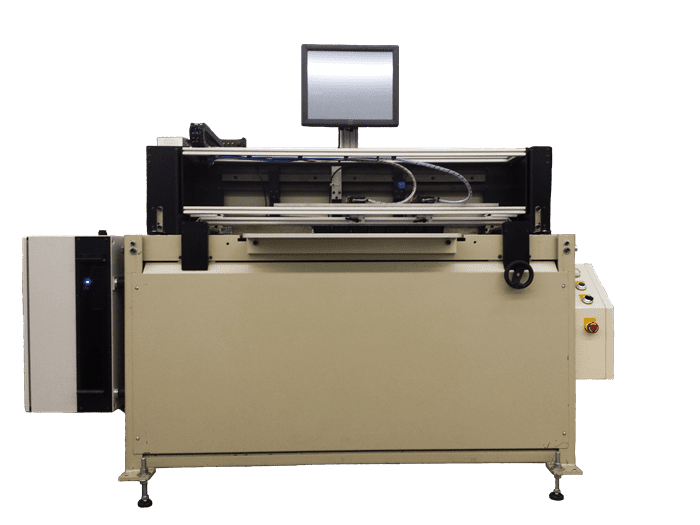 The new, heavy duty M255 Automatic Registration Shear from Spartanics assures fast, accurate registration shearing and high-speed fabrication of etched and printed materials. The Spartanics Shears were first introduced in 1962 and have continued to lead the industry for over 50 years. The new M255 Automatic Registration Shear comes fully equipped with the latest electronics and operator features including a Touch Screen to simplify job set-up and programming. Speed: 20 Cuts/Min., 1200 Cuts/Hr. Sensor Gap Set to Allow: 0.060″ (1.524 mm) Max. Cut Strip Width: 39″ (1 Meter) Max.